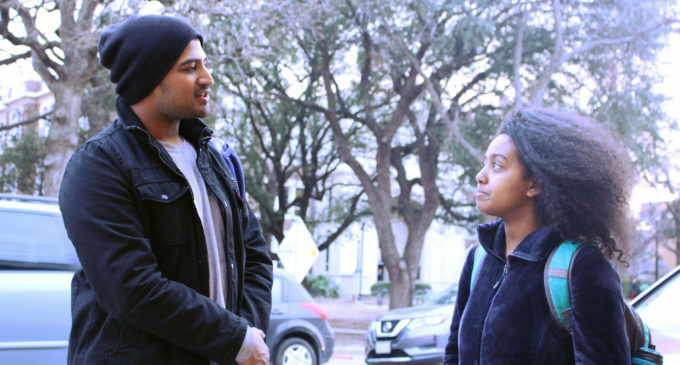 Ram Prasanna, left, engages with passerby students on campus to both intellectually connect with them and to give an idea of what Hard Conversations is about. What does marijuana, a Confederate monument and illegal immigration all have in common? They are the polarizing topics in our society that Republicans, Democrats and everyone in between have been productively talking about on campus through Hard Conversations. For the non-partisan and unaffiliated campus organization, that’s the goal. Hard Conversations hopes to address the nationwide issue of political and ideological division by fostering more understanding from all sides through authentic discussion. 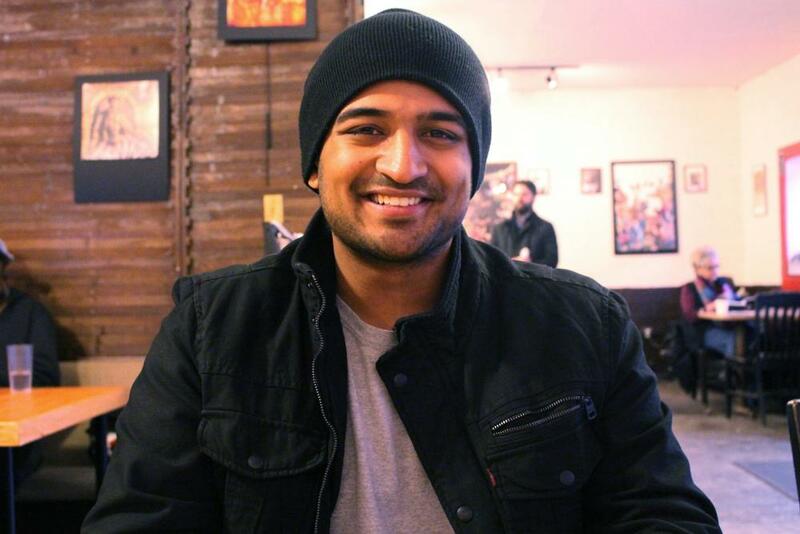 Ram Prasanna is the founder and executive director of Hard Conversations. The organization was made with the intention of unity among parties in politics. In the age of social media where opinions are expressed freely and division seems to be greater than unity, the concept of bringing people together through real dialogue is needed. And thanks to Hard Conversations, it’s happening right here at UNT. Hard Conversations was created over a year ago by Prasanna in the aftermath of the 2016 election that left the country feeling more divided than ever. The goal of the organization is to foster an environment where people with all kinds of perspectives and viewpoints can have a healthy, open discussion about various hot topics. According to the Hard Conversations website, the organization operates on the principles of credible free speech, unapologetic self-expression and ultimately aims to create civil conversations between those of differing viewpoints. Political science professor Wendy Watson believes Hard Conversations opens up opportunities on campus for people to become more informed while coming together to recognize that they aren’t as different as they may seem. Hashing out ideas and processing through political beliefs with people who disagree can seem like an uncomfortable and challenging thing to do. But Prasanna believes when done in a mature, productive environment, it helps grow and strengthen perspective. The goal of unity is more than just a vision of Hard Conversations. Through the organization, College Democrats Presidents Jordan Villarreal and Young Conservatives President Eric Fernandez have come together as friends instead of adversaries. Despite their political differences, Villarreal and Fernandez have found a way to work as a team on big issues they can agree are important, like encouraging students to vote. Their friendship is a result of exactly the kind of understanding and open environment that Hard Conversations is working to create on campus, by allowing everyone to express their beliefs in a productive way. Although the organization is just beginning to make an impact, it’s already made lasting effects on campus and in the lives of those who are involved. “I think Hard Conversations is working to bring us all together to a point where we realize we aren’t all that different from each other and I hope it continues on into the future, long past my time here,” Villarreal said. The open, unifying message of Hard Conversations is a breath of fresh air for some students especially during this divisive time of politics in the United States. Intentionally creating a place for different viewpoints to air out their ideas is a step in the right direction towards unity. As the organization looks ahead to their next debate at the end of February, they plan to continue spreading the word about their mission through their social media and want to continue to let people know how they can get involved. The unifying principles of Hard Conversations have started to take root at UNT but the organization doesn’t want it to stop here. They hope the mission of getting back to the basics of who the citizens are as a country will eventually start to trend throughout the nation. Until then, the need for real people talking about real issues with each other to unite instead of divide is still there. Hard Conversations is where you’ll find it in action.